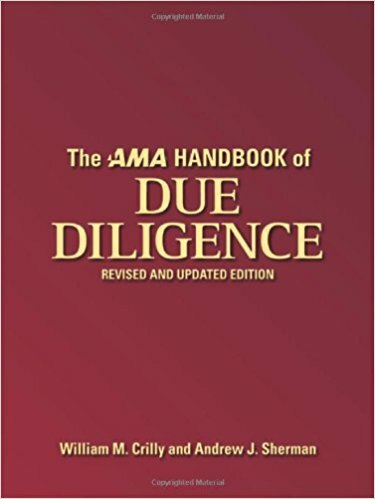 The AMA Handbook of Due Diligence is the most complete guide available on how to properly perform a due diligence investigation — and radically improve the success rate of a pending corporate merger or acquisition. The new edition of this long-trusted resource includes a CD-ROM packed with almost 400 customizable forms and templates for recording and analyzing every possible operational or financial activity at any organization. Extensively revised and updated, the book reflects significant changes in the financial landscape such as the Sarbanes-Oxley Act. There are specialized sections on joint ventures, franchises, and outsourcing, as well as new legal memo and form requirements, including data room index, preliminary diligence memorandum, and the Hart-Scott-Rodino questionnaire. Thorough and easy to use, this essential resource will ensure that every “t? is crossed, every “i? dotted…and no mistakes left out on the table.